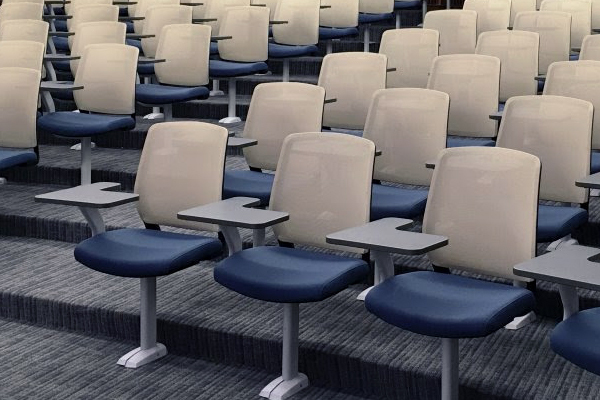 The Symmetra Ped is a standalone solution for totally customizable fixed seating. 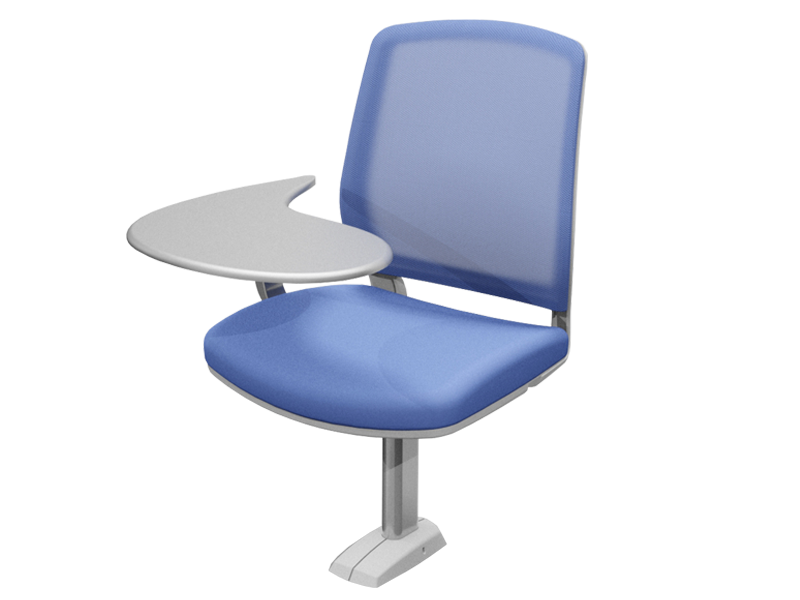 The single pedestal provides complete control of the seating layout and direction, as well as increasing usable leg space. Symmetra stands on ultra-rigid steel pedestals and each installation is individually designed to fit perfectly with the size and appearance of your facility. 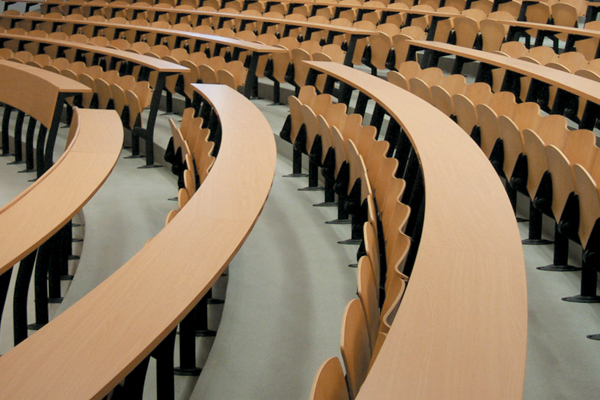 The Symmetra fixed table system provides a unique, integrated environment for learning. The clean and modern design even extends to the under-table raceway system. Symmetra is a confident blend of form and function that will complement any advanced learning environment. 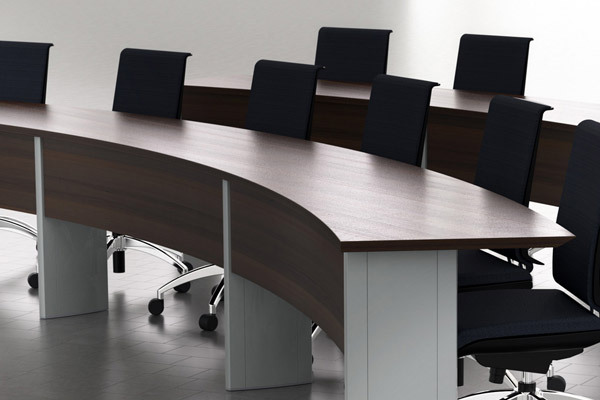 Symmetra Plus lecture room table and seating system adds the convenience of swing out seating to the beauty and functionality of Symmetra tables. Choose from several comfortable and sturdy seat types, with or without upholstery. 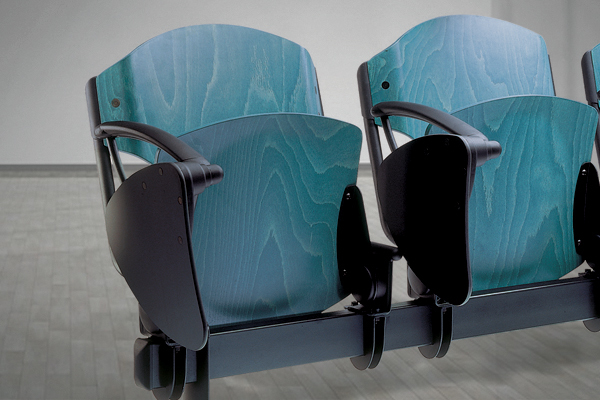 Handsome and imposing in its simplicity, Monolito is a dignified option for lecture room and auditorium seating. 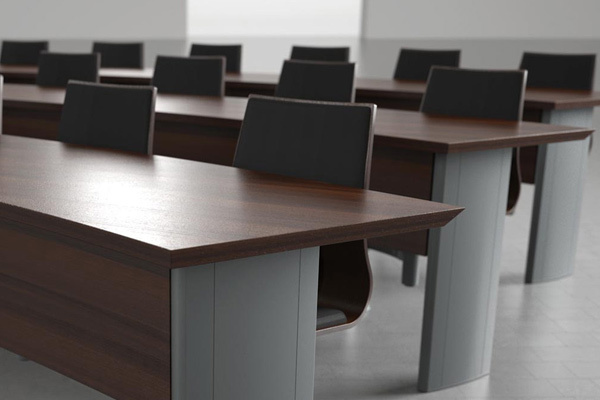 With imposing end panels and swing-out seating, Monolito Plus is a striking option for lecture room seating. 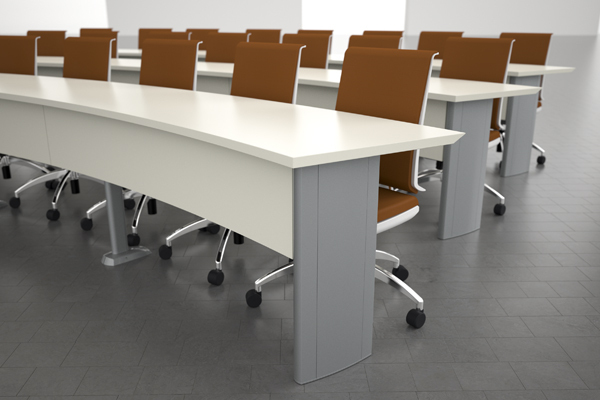 Monolito Plus brings together great looks and great function with a vast range of custom finishes and details. 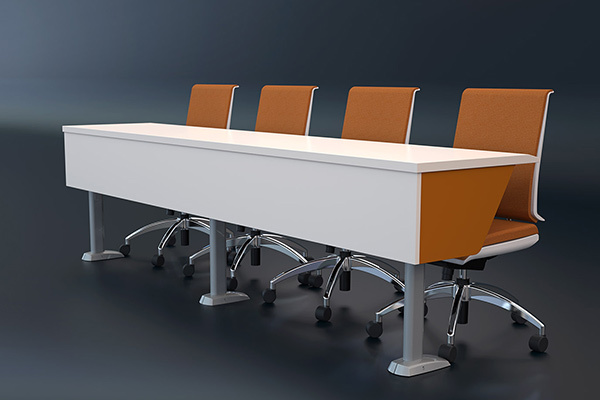 The Monolito-Symmetra combines the best of both worlds in a table system. This combines the striking end panels of the Monolito series with the sleek low profile design of the supporting legs. Each Omnia system is designed and built specifically for your installation. The system can accommodate flat, sloped, or tiered floors. There’s alsoa high-back Omnia Evolution system for steeply tiered facilities. 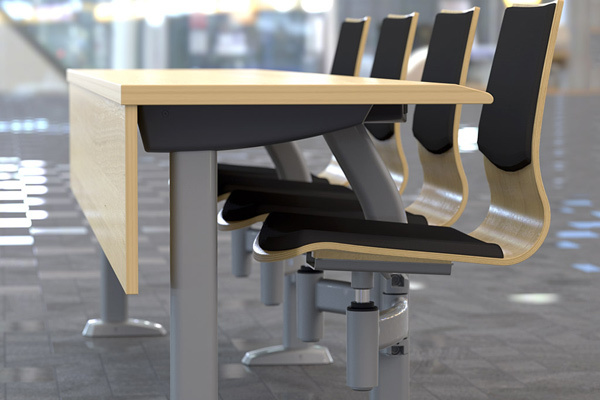 Beam seating system with integrated flip-up tablets, designed to provide a wide variety of uses.